For the major city in today's Romania, see Nagyvárad. 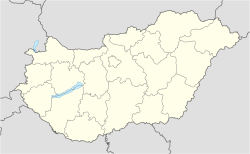 Várad is a village in Baranya county, Hungary. This page was last edited on 22 March 2017, at 13:07 (UTC).